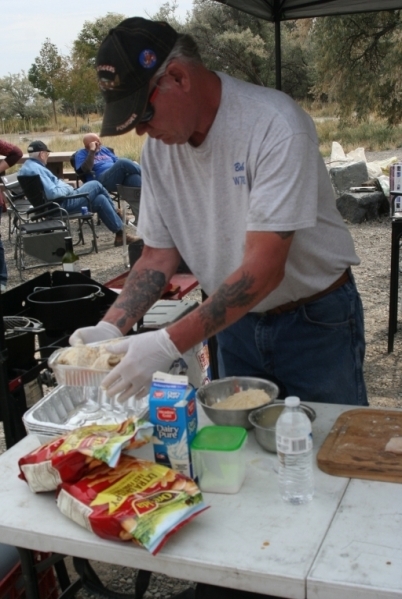 Every year we do a campout at the Cottonwood Campground at CJ Strike. This year was no different. There were 11 of us this year, those willing to brave the nice weather and good food we had. We could have a fire as the fire ban was lifted the previous week. And we did our best to burn all the wood we had brought to the camput. One of the things we do, besides gorging ourselves on excellent food, is to watch the BSU game. This year it started at 5:00 PM so we were able to watch all of the game. And BSU won so it made the weekend complete. John , KD7HGS, setting up the TV. 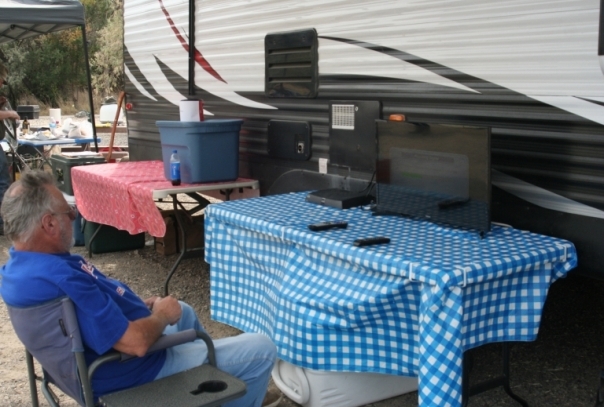 He and Deb, KE7TMF, brought a portable sattelite system and hooked it up. He has a 32 in TV to use for this activity. Bob, W7RLS, working on lunch. he fixed fish and fries, both very, very good. And he fixed them in Dutch ovens. Better yet. 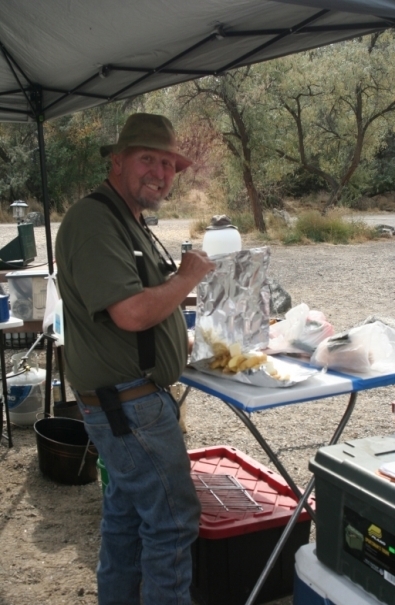 Steve, WB7VEQ, helping Bob with lunch. Our kitchen setup. 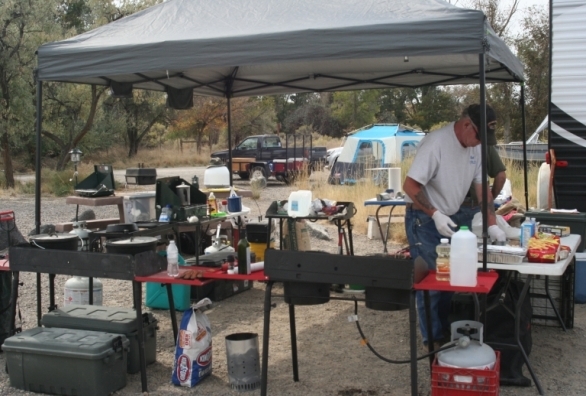 Stoves, tables, propane bottles, etc. Bob, W7RLS, is working on lunch.